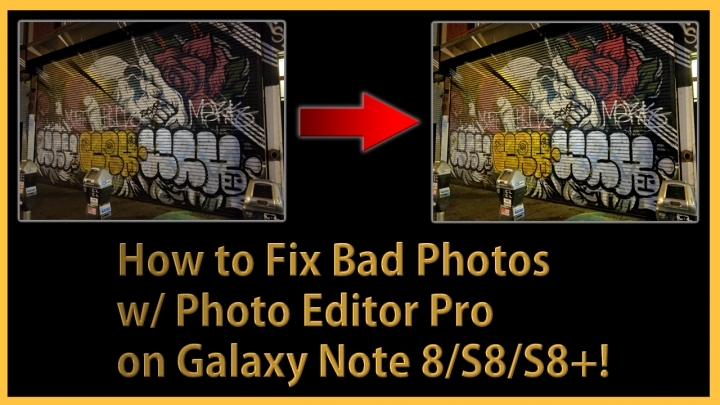 How to Fix Bad Photos w/ Photo Editor Pro on Galaxy Note 8/S8/S8+! For those of you who may have took bad photos like all of us will do at some point in our life(or do it more often), here’s how to easily fix terrible, bad photos with blown-out highlights or too-dark scenes. If you have Galaxy Note 8, S8, or S8+ you can use the Photo Editor Pro which has load of options and customization just like Photoshop but better optimized for phones. Now, not all bad photos can be recovered but by bringing back shadows and reducing highlights, we can squeeze an extra stop out of your photos and this will work especially well if you just need a photo that needs to look “decent” not bad. If you don’t have Photo Editor Pro, you can also use other similar apps which should have similar controls and follow along. 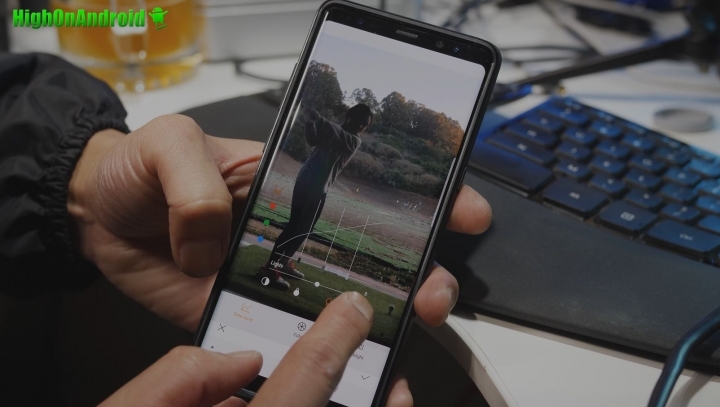 Photo Editor Pro was just used in this video because it is very convenient. Now, the examples shown in my video tutorial are very “extreme” cases. In most cases, you should be able to add subtle touches to your photos and enhance them. Try playing with some of the different options of Photo Editor Pro. Over time and practice, you should be able to make a good photo out of worst of your photos. Next time, we will also look into how we can reduce noise too so stay tuned and let me know what you think of the tutorial. Adjust shadows to bring out the shadows more. Be careful NOT to turn the shadow dial too much up as you can bring the noise back. For photos taken with good lighting, you should be able to bring back more shadows due to less noise. Adjust highlights to tone down blown highlights. If you see any bright areas in your photo that is way too bright, you can bring down the highlights. Adjust dark and light ad needed. For most shots, I like to pull the darks down a little bit and the lights up to add a little contrast. Use the color saturation and drop tool to enhance any colors of the photo. I feel this is much better and controlled method to enhance the colors. If you simply raise saturation(which you can), you get a lot of artifacts. Use the “Spot color” feature to make one of several of your favorite colors to stand out while rest of the photo turns black & white. I have s8+ but it doesn’t have photo editor pro. How do I activate or get it? Next story OnePlus 5T Unboxing! Previous story How to Convert Android into iPhone X w/ “the notch”!